The renewable diesel company believes using waste plastic as a raw material increases efficiency, while also reducing crude oil dependency and the carbon footprint of its products. 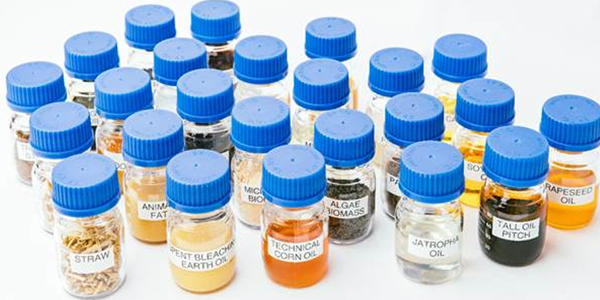 Neste, a Helsinki-based producer of renewable diesel, is now exploring ways to introduce liquefied waste plastic as a future raw material for fossil fuel refining. The aim of the development project is to proceed to an industrial scale trial in 2019. The company’s eventual target is to process more than one million tons of waste plastic annually by 2030. “Neste has been ranked the world’s second most sustainable company, and we are already the world’s largest producer of renewable diesel from waste and residues. Our target is to also be a leader in low-carbon refining and support circular economy by developing innovative solutions based on waste plastic,” says Matti Lehmus, executive vice president of Neste’s Oil Products business area. “With our strong legacy in raw material and pretreatment research, we are in a unique position to introduce waste plastics as a new raw material for fossil fuel refining. At the same time, we aim to provide solutions to support global plastic waste reduction,” Lehmus continues. In Europe, some 27 million tons of post-consumer plastic waste are generated annually. Only about one-third of this amount is currently collected for recycling. In January 2018, the European Union released its Strategy for Plastics in a Circular Economy. One of its objectives is to increase recycling of plastics and reuse of plastic packaging by 2030. In the EU Waste package, the recycling target for plastic packaging was raised to 50% by 2025 and 55% by 2030. “In order to reach the ambitious EU plastics recycling targets, both chemical and mechanical recycling need to be recognized in the EU regulation,” Lehmus says. Reaching industrial-scale production of products from plastic waste still requires development of technologies and value chains. To accelerate development, Neste is looking for partners across the value chain, including, for example in waste management and upgrading technologies. In addition to exploring ways to utilize plastic waste as raw material, Neste is helping the plastics industry and various plastics-consuming companies to reduce their crude oil dependency and climate emissions by producing durable and recyclable renewable plastics from bio-based raw materials, such as waste fats and oils. As an example, Neste and IKEA will produce polypropylene (PP) plastic from fossil-free, bio-based raw materials at commercial scale during the fall of 2018, creating bio-based PP at a commercial scale.